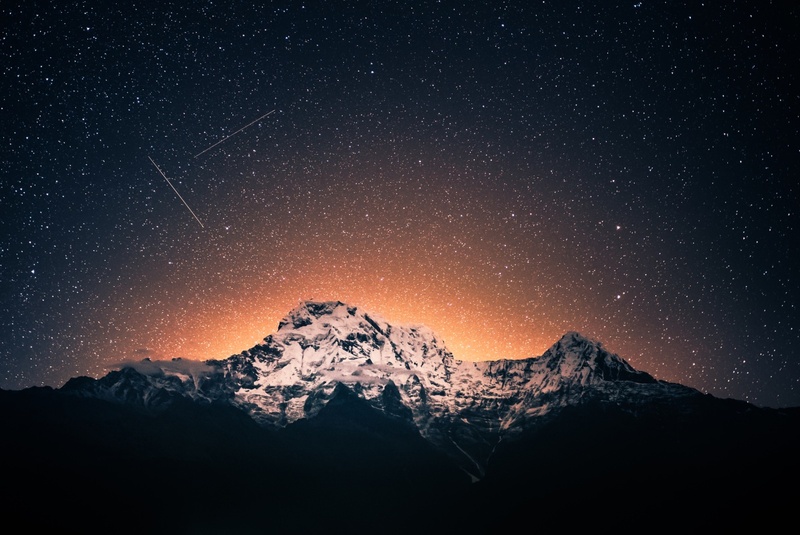 Shooting star over Annapurna mountain range in Nepal. This photo was taken from an awesome guesthouse along the way to Annapurna Sanctuary. The name of the place was Alluring view and it was located south of Tolka. They had an amazing rooftop view over the mountains that you could easily access anytime of the night so I spent quite a lot of time there. The only thing to worry about was an overprotecting dog who was around but luckily I didn’t encounter him in the middle of night. Anyways the scenery was absolutely fantastic. Tip: When trekking in Annapurna area try to ask the fellow travellers and guides for guesthouses with nice views. In my opinion that the thing that matters the most. Anyways you are there for the views right? The location given is not exact. I couldn’t find the place in Google maps.